Welcome to the Manitoba Athletic Therapists Association! We are a non-profit organization mandated to govern the profession of Athletic Therapy in Manitoba. Never miss another headline, job posting or event! When Should You See An Athletic Therapist? Long waiting times for health care may cause challenges when timely treatment is crucial to recovery. Athletic Therapists offer prevention and care when it’s needed. Search our extensive database of all Certified Athletic Therapists in Manitoba! Read the latest postings for Athletic Therapy jobs in Manitoba! 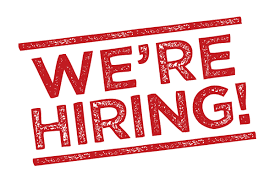 We are looking for a dynamic certified athletic therapist or kinesiologist to join our team for a one year term position. May lead into a permanent position. Physiotherapy Works! 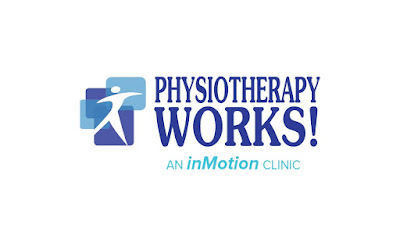 is a member of the inMotion Network of Manitoba-based physiotherapy clinics and associated health care services. Our facilities offers a variety of physiotherapy programs, occupational therapy programs, massage therapy, nursing foot care and kinesiology. Innovative Medical Supplies Is Hiring! 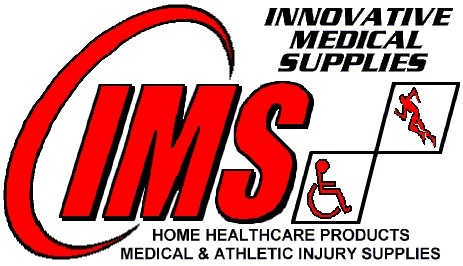 Innovative Medical Supplies is looking to hire a part time Sales Representative! Our ideal candidate is a hard working, team player looking to build their knowledge and skill set in the medical supply field. The position primarily requires availability at our main location on Henderson Hwy, with the possibility of hours at our second Winnipeg location on Portage Ave.
● Retail and computer experience an asset, but not required. ● Having a license is not mandatory; however, is an asset. Spring is approaching and summer is soon to follow. The MATA is seeking a highly motivated individual to fill the spot of Athletic Therapy Services Coordinator for this coming Spring/Summer. The position is centered on the ATS program and the coverage of events, utilizing the coordinator as both an event workers and organizer. Interested applicants will be required to work events during the week as well as being in the office coordinating the events and managing the event equipment. Check your email for the MATA Newsletter with all the details! If you're not receiving the newsletter, contact Faye, mata@sportmanitoba.ca to get signed up. Position Summary: Reporting to the Occupational Safety and Health Officer, the Musculoskeletal Injury Prevention (MSIP) Specialist participates in the development of policy, injury prevention standards and initiatives to meet the needs of the workers. The MSIP Specialist provides ergonomic consultation with respect to workstations, Patient Handling and Material Handling. The incumbent works as a member of the Occupational Safety and Health program and may also be involved in other functional areas of the occupational safety and health and human resources management. The incumbent demonstrates professional responsibility and accountability. The position functions in a manner consistent with and supports the mission, vision and values of the Interlake-Eastern Regional Health Authority. · Baccalaureate or Clinical Master’s Degree in Occupational Therapy (OT), Kinesiology or related degree required. · Current registration and a member in good standing with the College of Occupational Therapists of Manitoba (COTM) or related college required. · Eligible to practice and maintain licensure in Manitoba. · Membership with the Canadian Association of Occupational Therapy or related association preferred. · Certificate in Adult Education preferred. · Professional training in ergonomics preferred.  Knowledge of computer systems and current and related software applications.  Basic training in statistical and epidemiological methods required.  Minimum of five (5) years recent experience in a community or health care setting, with at least one (1) year in the area of assessment, instruction and/or application of ergonomic principles preferred.  Minimum of two (2) years of experience in Adult Education and/or knowledge of the principles of Adult Learning.  Previous experience working in an Occupational Health and Safety setting required.  Previous experience performing ergonomic assessments, report writing and making recommendations required.  Previous experience related to functions, services and processes of Workers Compensation Board and HEB.  Previous experience in the development, implementation and delivery of training programs for staff related to musculoskeletal injury prevention.  Previous experience in the performance of Physical Demands Analysis (PDA).  Demonstrated interpersonal, communication, leadership and analytical skills. · Strong organizational, interpersonal, problem solving, verbal, and written communication skills. · Ability to build and maintain positive working relationships and to work in a multi-disciplinary team based working environment. · Excellent organizational and prioritization skills. · Ability to work independently in a self-directed manner and as a team member in a variety of environments. · Ability to respect and promote confidentiality. · Mental and physical health to meet the demands of the job required. · Given the cultural diversity of our region, the ability to communicate in more than one language would be considered an asset. · Proficiency of both official languages is essential for target and designated bilingual positions. · Completes and maintains a satisfactory pre-employment security check. · Internal applicants must include a current resume with application upon change of classification/program. · External applicants must include a completed application form, current resume, and copies of all required certifications or licenses with application. Must also submit Criminal Record & Vulnerable Sector Check, Child and Adult Abuse Registry Check prior to commencing employment. The Interlake – Eastern Regional Health Authority is committed to increasing the representation of Indigenous people at all levels within our workforce. We encourage successful Indigenous applicants to self-declare by completing a Voluntary Self-Declaration Form available online @ www.ierha.ca or at any of our sites. Part-Time Position opening for an upcoming Maternity Leave at the Wellness Institute- Rehabilitation and Sports Injury Clinic. Successful applicants will resume an established case load while working with a great referral team. Applicants should be highly motivated and actively involved with continual educational and research; acupuncture is considered an asset. Serious inquiries only, interested parties will be vetted for candidacy. Please forward resumes and references to juliabraaksma@gmail.com. Applications close: April 3rd, 2019. A scholarship fund has been established by the Sport Medicine & Science Council of Manitoba to offer financial support and encourage innovative and relevant research projects that reflect the objectives and goals of the Council. The Sport Medicine & Science Council of Manitoba offers scientific support and sport medicine services to enhance the training of Manitoba athletes and recreational participants at all levels. The Council strives to encourage students to be creative investigators in the academic setting. The Sport Medicine & Science Council of Manitoba offers to provide an annual award of $500.00 to promote the achievements and help further the education of our student member groups. The award will be presented to a suitable candidate at the SMSCM Annual General Meeting by the President of the Sport Medicine & Science Council of Manitoba. 1. Has achieved a cumulative Grade Point Average of at least 3.5, has been enrolled and completed 1 full-time year of study at the Masters level, or two years of part time study deemed equivalent to the 1 full-time year. 2. Shows outstanding volunteer work related to sport medicine; has demonstrated a commitment to positively influencing sport participation in Manitoba athletes and the general sporting public. 4. Has involvement in research related experience congruent with the objectives and goals of the Sport Medicine Council of Manitoba. Tenable at: This award is primarily intended for students enrolled in a University in the province of Manitoba. Special consideration may be given to an exceptional candidate registered in a Canadian university outside of Manitoba. Students cannot win this scholarship in two consecutive years. Students should fill out this scholarship application and submit with a copy of their transcripts. The application is to be sent to the Sport Medicine & Science Council of Manitoba office and the Selection Committee will select a winner. A Scholarship Fund has been established by the Sport Medicine & Science Council of Manitoba to offer financial support to students of its member groups. The Sport Medicine & Science Council of Manitoba is a non-profit organization set up to meet the needs of Manitoba athletes and would like to promote the further education of its member groups in order to better aid the athletes. The Sport Medicine & Science Council of Manitoba provides an annual award of $500.00 to promote the achievements and to help further the education of our student member groups. The award is to be presented each year at the SMSCM Annual General Meeting by the President of the Sport Medicine and Science Council of Manitoba. 5. displays competence and dedication to their field, including professionalism, enthusiasm and commitment. Pathway Rehabilitation is seeking a full-time athletic therapist to join our treatment team. The successful applicant will be based at our clinic on St. Anne’s Road in Winnipeg. We are a multidisciplinary clinic that includes physical medicine, physiotherapy, athletic therapy, occupational therapy, and psychology. The successful applicant must be willing to work independently with a private client caseload, and also as part of the multidisciplinary treatment team. Pathway Rehabilitation offers a salaried payment structure based on professional experience and also supports ongoing professional development through a continuing education allowance. We foster an environment of professional growth through mentorship and we provide our clinicians with up to date rehabilitation tools and resources. Inquiries and Resumes can be directed to Clinic Manager, Adam Trimble via email at pathwayrehab@gmail.com, or in person at 484 St. Anne’s Road. Thank you in advance for your interest in this position. Only candidates considered for an interview will be contacted.